Hyundai Asia Resources, Inc. (HARI), the official distributor of Hyundai vehicles in the Philippines, closes its 2018 full-year sales with a total of 35,401 units. Compared to the 2017’s full-year performance of 37,678 units, the difference is 6 percent; this is in contrast to an industry that has declined at least 15-18 percent. December saw sales reach 2,957 units for the month. This completes the 4th Quarter of 2018 with 9,961 units sold. Quarter-on-Quarter performance shows a slight dip of 2.5 percent from the 10,227 units sold in the 4th Quarter of 2017. Passenger Cars (PC) segment sales retained its position as the brand’s volume driver by accounting for 56.2 percent of the total sales. However, the segment declined significantly—22 percent to 19,905 units for 2018 compared to 25,529 units in 2017. 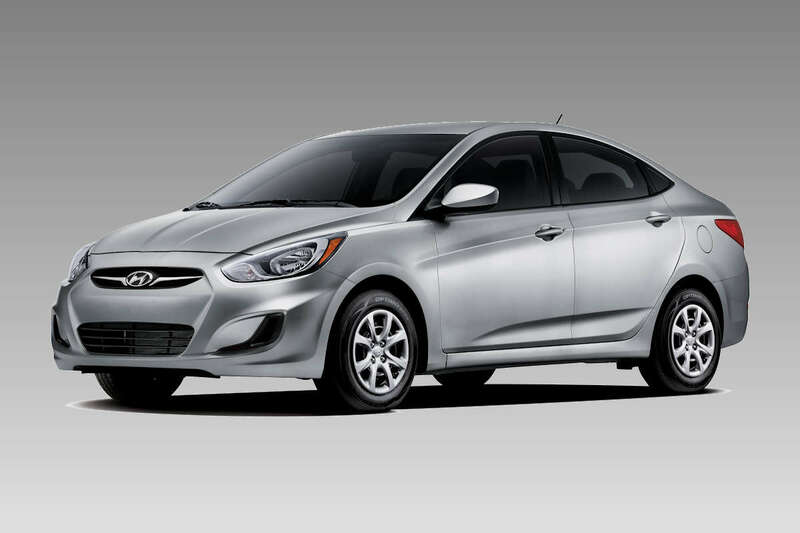 Hyundai’s strongest performer in the PC segment remains the Accent which has contributed to 75.6 percent of total segment sales. Light Commercial Vehicles (LCV) segment was at the spotlight for 2018 as the brand’s growth driver. 2018 sales registered a total of 15,496 units sold, growing by 27.5 percent from 2017 of 12,149 units. In the 4th quarter alone, the brand saw a 48.4 percent rise in its LCV sales; 5,415 units sold in the 4th quarter of 2018 compared to the 3,650 units sold in the same period of the previous year. Driven by the Kona, Tucson, Grand Starex, and H-100, the brand’s LCV models have topped in their respective sub-segments and ruminatively maintained an upward growth trajectory for the brand. As a result, this has offset any negative effects experienced by the Philippine automotive industry throughout the year. 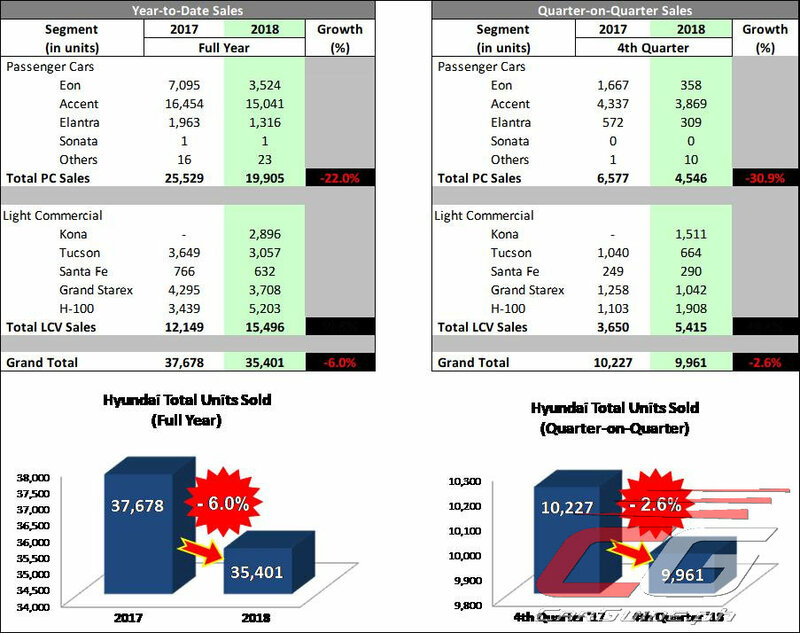 “Amidst the uncertainty faced in the automotive industry for the year, Hyundai has proven itself to weather the odds and exceed expectations. The economic landscape shows to be more optimistic, you can expect more from us in 2019,” says Ma. Fe Perez-Agudo, HARI President and CEO.